The crying ended and the celebration began. Church was rough. 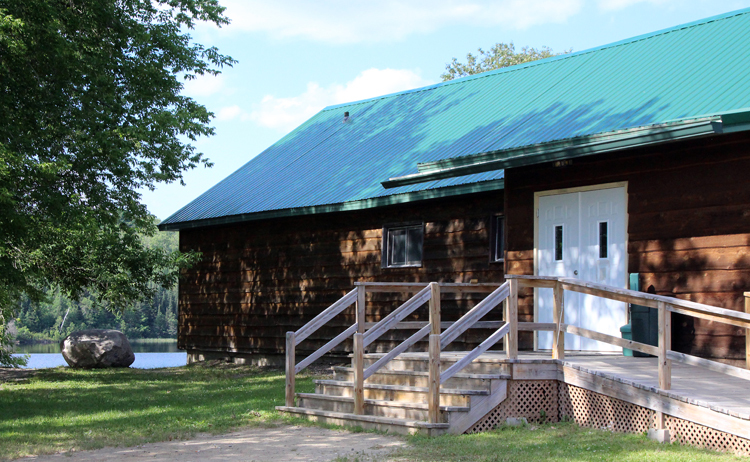 The banquet hall beside the lake spoke to 100 years of weddings, graduations, and Hook & Bullet fundraisers. It was a spacious log structure built to take a licking. Ancient moose antlers adorned the doorsill above the entryway. Framed textile images of boreal landscapes charmed the walls. Box fans whirred in every other window to cool the place down. A three-board photo display of the honoree stood on a folding table beside the front side door. A reflection of Halloween costumes, summer vacations and deer seasons documented rites of passage throughout the years. The siblings gathered for a group picture to update the family history once more. The sassy brother-in-law was in charge of the shutter button. Outside, Grandpas gave the hexagonal merry-go-round a shove as grandkids rode the spinning benches, painting the air with root beer belches. The aroma of Polish sausage steaming in the Nesco wafted to them through kitchen windows, a niggling reminder of the ham, roast beef and turkey cold cut buffet to come. Stacks of pepper jack, cheddar and Swiss awaited Kaiser roll companions with dill pickle spears for the side. The chubby cousin twice removed hovered nearby, eyeing up the foil barbecue roaster and potato salad. Casual attire fashioned the moment. Sport coats were a touch dressy and style leaned toward the uncle in a T-shirt. The words over his cauldron-shaped belly read, “What would Gretzsky do?” His vivacious niece in the summer dress who he hadn’t seen since she was a seedling, yanked him onto the dance floor for a dose of three-step. Her lanky legs were now longer than his and she could see over his bald spot. Even people with no sense of rhythm stepped out in spirited fervor. The band wiped sweat from their brows and dusted the dance floor with emotion for family and friends. They played everything from polkas to Petty covers. “Mary Jane’s Last Dance” on accordion isn’t a tune the average person can easily un-hear. This wasn’t average to begin with. It was elegance. Pure and simple. An expensive affair in an extravagant locale would have been holiness at a discount compared to the richness that resides in the familiarity of everyday life, people and memories. Thanks Scott, that was a really special time for us. You brought me right back to that day.